The Safety Thimble I is designed to prevent the thimble from getting pulled into the fairlead where most accidents happen in winching, often due to winch “run-on” from electric winches. 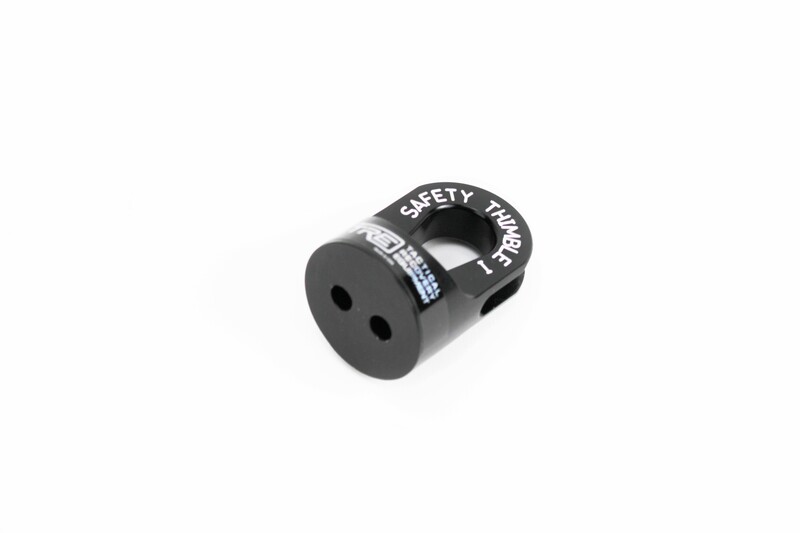 The winch Safety Thimble is designed with several features to reduce the risks during the inherently dangerous activity of self-recovery with a winch. The Safety Thimble I is a smaller version for 3/16″ to 1/4″ synthetic ropes and are perfect for ATV and side by sides that use the smaller winches. They are designed to be used with a 1/2″ shackle. The thimble is designed to prevent the thimble from getting pulled into the fairlead where most accidents happen in winching,often due to winch “run-on” from electric winches. The winch Safety Thimble is designed with several features to reduce the risks during the inherently dangerous activity of self-recovery with a winch. Unlike hooks and standard steel thimbles, the flat base lands flat on the face of the fairlead to prevent pulling through the fairlead and also prevents damage to rollers and the smooth radii of Hawse Fairleads. The Winch Safety Thimble forces the user to use safer connections than a shackle can afford when performing recovery operations. The Safety Thimble is designed to allow the least number of connections due to the fact that an anchor shackle will fit the thimble either by the pin or the body of the shackle. The Safety Thimble I is small enough to use on ATV, Razors, Rhinos and other small capacity utility vehicles. The Thimble is easy to use with ATV Soft Shackles, ATV Synthetic Winch Rope as well as the NEW Lightweight Tow Ropes. Each Safety Thimble is anodized black with an Electrolytic Two Step Process to help resist fading. The design of the eye has a deep groove that allows protection against abrasion on synthetic winchline.